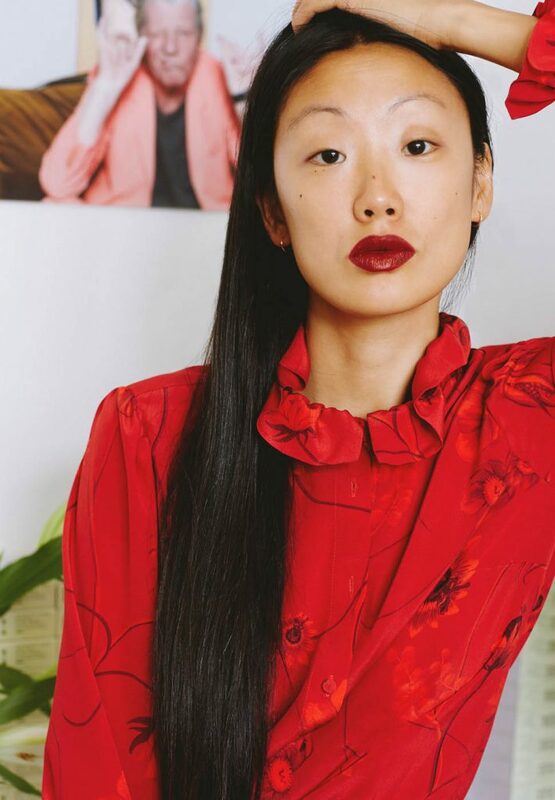 As someone who commutes on a weekly basis between her studio in East London and her apartment in Paris’ 9th arrondissement, it helps that Semaine co-founder Michelle Lu has had a lot of practise in globe-trotting while managing to look effortlessly put together. While working as Mario Testino’s Creative Producer her non-stop schedule could take her from Lima to Tokyo to LA within a few weeks. So, Lu has honed a uniform of high quality, seasonless pieces. Here, she puts her signature tomboyish twist on the Coco Dress and Veronica Blouse and lets us in on her clever packing strategy. I had a desire to create a platform that experiments with moving content, and to create something that treats fashion and culture with a levity and wit that they might not normally be associated with. We were also trying to answer the needs of a woman who is multifaceted and interested in wellbeing too. Someone who has a real identity and who wears clothes of quality that she will have in her wardrobe forever and wear for seasons to come. 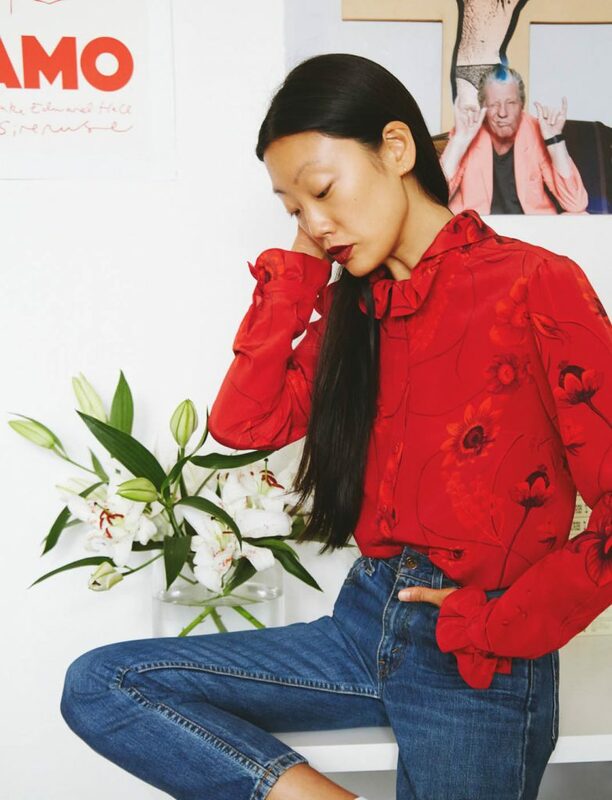 I love the Veronica Blouse because it looks great with a pair of jeans on a work day or for meetings. I can even wear it with vintage trackpants. And the dress worn with socks and loafers is the perfect weekend look, which I can dress up with a dark red lip for more of an evening vibe. Chinese jackets, body suits, socks, loafers and glasses. I have core pieces that I like adding quirky accessories to. To always bring red lipstick and great jewellery so I can dress up a day look for the evening. And to leave room in my suitcase for the things I’ll pick up along the way. A Borgo Girl is someone who has a real identity and who wears clothes of quality that she will have in her wardrobe forever. The autobiography of Simone Viel called A Life, The Courage of Hopelessness by Slavoj Žižek and I’ve just finished The Quiet American by Graham Greene. Are by Mary Ramsden. They were a gift from two friends for my 30th birthday. I have them at home in Paris – my place is quite minimal so I love the femininity and simplicity of her work. Has been ruined by the acronym (! ), but I suppose nothing says it better than ‘you only live once’! The Coco Dress is available to buy at Gio Moretti, Belinda, Bergdorf Goodman, Beymen, Matches, and Mitchells. The Veronica Blouse is available to buy at Aishti, Saks Fifth Avenue, Moda Operandi, and Matches.